Invite your family and friends to your room this holiday. You want to keep the spirit of Christmas as welcoming as possible. 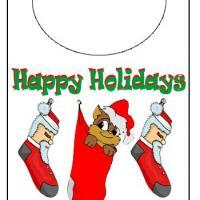 Print and hang this holiday kitty door knob hanger on your door.